It’s time to move beyond mobile Application Performance Management (mAPM) products that primarily provide mobile app developers with capabilities like crash analytics, app error reporting, service performance metrics, and data consumption tracking. 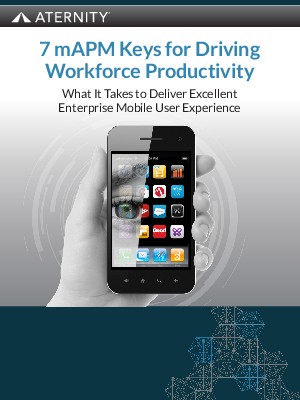 Aternity Mobile APM provides an expanded range of Mobile APM use cases to help you measure, manage, and improve workforce productivity. It’s not only for developers of mobile enterprise apps, but also for IT Ops who support them, and the line of business who rely on them to drive the business.